Spread the cost from only £321.88 a month with Interest Free Credit. 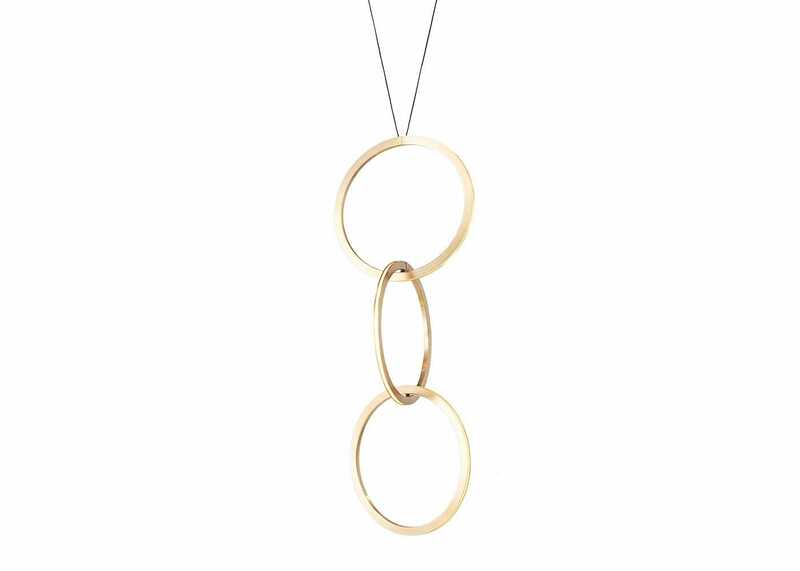 The Circus 500 Pendant is a unique presentation of interlinking rings, inspired by the jewellery stands that would typically adorn a woman's makeup table. Handmade in New Zealand and designed by Resident Studio, each Circus ring projects an elegantly diffused warm LED light-source outwards around a 360-degree plane. Circus is a remarkable decorative floor lamp with a small profile, making it convenient for both commercial and residential interiors. Operated by integrated touch dimmer for ambient lighting.